Each day I see parents trying their best to do what’s right for their families, but no one has the perfect guidebook that tells parents what to do. Here are the top ten solvable problems that I advise parents to remedy today. 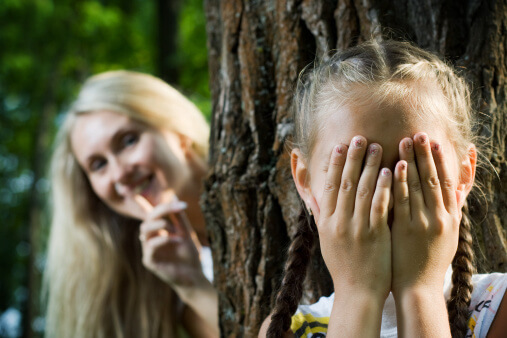 1 ) Do… Have confidence in your parenting style.Don’t… Worry about what your parents or the neighbors or your child’s teacher thinks about your parenting style. Create a parenting style that makes you comfortable and relax. 2 ) Do… Create an exercise program for yourself.Don’t… Skip it because you don’t have the time. Kids follow our example. If we’re not exercising, they won’t learn to either. So take care of yourself and teach your kids to do the same. 3 ) Do… Take the time to create healthy love foods for your family.Don’t… settle routinely for food that isn’t helping them build a strong body and mind. What children eat is vitally important and the foods they learn to love when young will often be their favorites as adults. You can create healthy love foods for them by what you feed them now and give them a life-long gift. 4 ) Do… Give your kids a good multi-vitamin each day.Don’t… Trust our food sources to provide all the nutrients kids need. Most kids don’t eat 5 servings of fruits and veggies a day. Even if they did (and I do encourage at least that many) our food’s nutrient density has gone down. Kids need a good multi-vitamin each day to round out their nutritional needs. 5 ) Do… Stay consistent with your rules.Don’t… Let whining wear you down. If you want a child to sleep in her own bed, then letting her sleep in your bed “just this once” is going to make it much harder later. 6 ) Do… Think about the things that matter.Don’t… Pick the wrong things to worry about. You need to pay close attention to some things, like your kids’ safety. But don’t sweat the small stuff even if it means your kids sleep in their street clothes instead of pajamas. 7 ) Do… Take advantage of today.Don’t… Wait until tomorrow to build life-long memories. Plan something every season that your kids will look forward to year after year. 8 ) Do… Pay attention to both your perspective and your child’s.Don’t… Lose sight of your needs or theirs. If we focus too much on whatever children want, or too much on what we want, they miss out on learning both to give and receive.